The annual AFI Directing Workshop for Women (DWW) Showcase on Thursday, May 3, 2018, at 7:30 p.m. at the Academy of Motion Picture Arts and Sciences Samuel Goldwyn Theater in Beverly Hills. 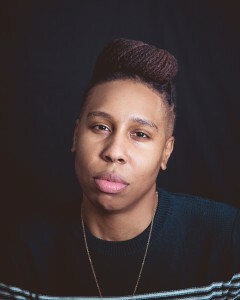 The opening keynote will be delivered by Emmy®-winning creator, writer and actor Lena Waithe. Presented by Lifetime, the event provides an opportunity for the program’s 2018 participants to showcase their work to an invitation-only audience of representatives and working artists from throughout the creative community. As a new Major Supporter of the Showcase, this year FIJI Water committed $100,000 to DWW with the goal of increasing the number of women working professionally as directors and showrunners in film and television. Support from the campaign provided crucial funds for DWW’s female filmmaker education and mentorship programs.